Researchers at NASA have now said that they might now what that glowing light is in some of their photos. The answer is not supernatural but is in fact, an answer of science. 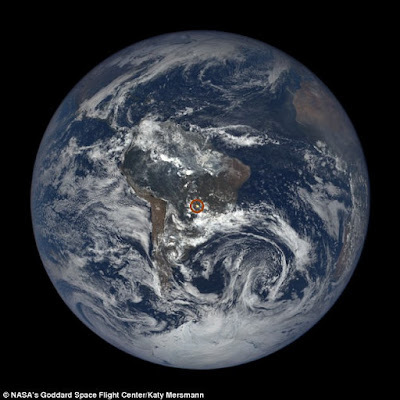 A NASA camera on the NOAA’s deep space climate observatory (DSCOVR) took the photos. The observatory was originally launched in 2015 and has since been taking photos for NASA. The observatory caught the strange flashes over a period of one year. 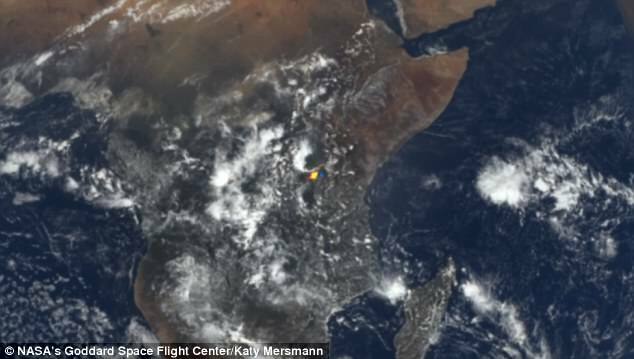 Alexander Marshak, DSCOVR deputy project scientist at NASA’s Goddard space flight center in Greenbelt Md, said that he first noticed the strange and out of order flashes appearing over the ocean. This was said in a statement. Marshak alongside a whole team of people who were researching this strange flash from the blue planet made the discovery that similar flashes happened in 1993 over the ocean. It is now said that flashes of light could very easily be the reflection from the sun on the Earth’s water. However, they also noticed that these flashes of light also happened over land. Apparently, researchers have found at least 866 bursts since the launch of the DSCOVR in 2015 – august of 2016. The researchers thought that the bursts of light came from a certain angle of the observatory and how the light was reflected. Thus, it would mean that the spacecraft at a certain viewing angle would get these bursts of light on camera because of the location of the sun, spacecraft, and earth itself. NASA researchers said a statement that the source would be the reflection from high altitude, horizontally oriented ice crystals. The source of the flashes is definitely not on the ground. It’s definitely ice, and most likely solar reflection off of horizontally oriented particles,” Marshak said. The researchers without a doubt looked at multiple different options and took into account many different features and angles.